This month we launched one of the biggest campaigns of our year as we made our first major-scale feature film. Yup, Facebook Presents: Beyond The Screen is our first feature now screening at cinemas across the country. Our brief was to work with Facebook to showcase some of the remarkable people who use the site as activists – in myriad definitions of that phrase – having created communities around their causes and then having taken those causes “beyond the screen” and into real life. First up, we found six quite remarkable groups and six quite remarkable community leaders. There was Gabby, who created Bloody Good Period having discovered that food banks didn’t supply tampons or towels to those who couldn’t afford them. The result was that many young women were missing school or felt it was quite literally impossible to leave the house. One post on Facebook, many months of hard work and campaigning later, she’s helped 1,000 women and has a group that is actively campaigning to address this injustice. Then there is Troi Lee, founder of Deaf Rave, who uses Facebook to create party events for the deaf community. Having been turned down at a nightclub, a small group of deaf ravers started to set up events around Britain – and now around the world – for the deaf community. Using Facebook as the heart of this global group, it’s becoming a mass-movement which is giving much-needed outlet for thousands around the world. We worked with Lottie, Fiona and Laura who started D+G Eco Warriors beach cleans after having found similar interests in cleaning up Dumfries and Galloway and making a difference however large or small whilst working with the community. The group, only set up in January 2018, was inspired by other Facebook groups doing similar work and has attracted a dedicated following. The amazing NAME is founder of Ballet Black. 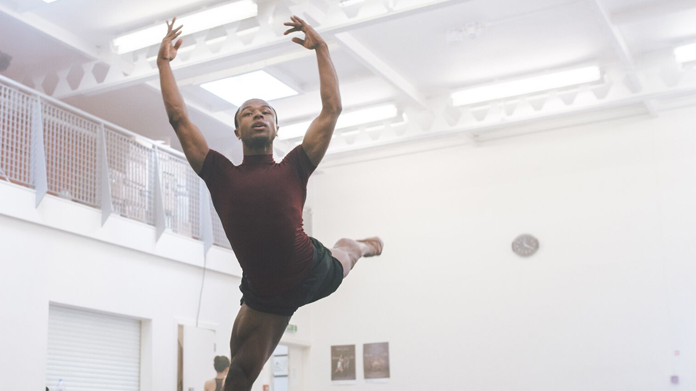 Her film traces the origins of the group which offers ballet dancers of colour a truly multicultural company through which to pursue their profession. Their next step is to create a range of pointe shoes made specifically for dancers of colour. And there is Steve Valentino and Athena Furie, co-founders of Pro-Wrestling Subjective. Pro-wrestlers and social activists, the group stages wrestling matches amongst local heroes who take to the ring to do battle. The group has an ethic that encourages tolerance, personal fulfilment and empowerment running through its core. Finally, there was Help Refugees, which is at the forefront of the European refugee crisis. A young grassroots collective that has tried to create a more dynamic form of aid in Calais and Greece, where even seasoned aid workers admit their traditional models have failed. They respond where the need is greatest, whether that means providing food, clothing, shelter, funding or more. They now fund more than 80 projects across Europe and the Middle East, making them the biggest facilitator of grassroots humanitarian aid on the continent. The films are screening across the country at Everyman Cinemas for the next month or so. Do head along and make sure to check them out. We’re pretty proud of the work and to have worked with such a remarkable group of people – we just hope that we’ve done them justice.